The Beach Haven is owned by us, Tim and Maria Martindale and it was our own home for twenty years. We then had the opportunity to buy the house that Tim was born in, so now we live just a couple of hundred metres distance away as the crow flies! Far enough for privacy but close enough to be on hand if necessary! 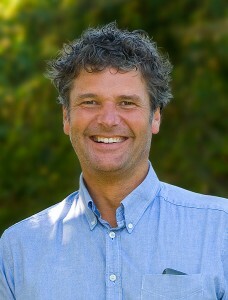 Tim is a photographer, well known for his images of Cornwall. A native of Bude and a lover of the great outdoors, he is the Deputy Station Officer of the Bude Coastguard Search and Rescue team, having previously served as a member of the town’s RNLI inshore lifeboat crew. His knowledge of the area is second to none so if you’re in need of some advice and inspiration for where to explore, he’s your man! You can get him on 07530 508350. Maria retired at the beginning of 2019. 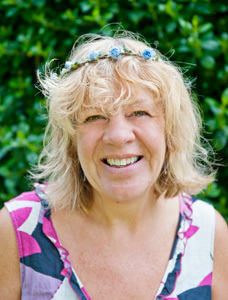 Originally from Derby, she’s lived in Cornwall for over 35 years. She’s a foodie and a keen gardener and she’ll happily point you in the right direction for the best local foods, beers, cider and wines! If you need to, you can text her on 07989 471550. 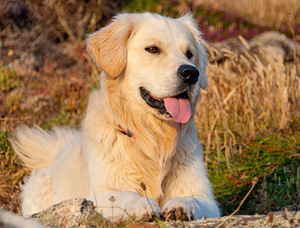 The third member of our team is Finlay, our six-year-old golden retriever. He’s actually not a lot of use but he looks good and he’s very friendly. If you’re bringing your canine pal with you to the Beach Haven, he’ll be very willing to meet and greet them!